The Famous or the Holy? The editing work is done on A Great Cloud of Witness (hence AGCW) and it is off getting printed. I believe it will be available from Church Publishing next month. Once again, the Official Calendar of the Episcopal Church is Lesser Feasts & Fasts 2006. AGCW has no official standing in the Church. It is merely a devotional resource that can be used or not as a person or parish wills. It is incorrect and misleading to say “Today the Church celebrates…” referencing contents of AGCW. And yet, it is still under discussion within the SCLM as we try to work through what an Episcopal Calendar is and is for. I have ranted before that the post-Vatican II reworking of the “new” Book of Common Prayer give us in some places—like the Calendar—the appearance of catholicity but without the substance. No where is this more obvious to me than the Calendar. What we have in the Calendar section looks like a sanctoral kalendar, and there are many who use it that way. However, the broad majority of the Episcopal Church does not interact with or utilize the Calendar as a sanctoral kalendar in the Catholic fashion. Now—clearly—I don’t know the mind of the whole church. What I’m going by here are recent debates I’ve had over individuals in the Calendar and applications—formal or informal—for additions to the Calendar. I’m currently in discussions with a liaison from my diocese to include Origen of Alexandria into one of our calendrical lists. The case being put forward recognizes that Origen was a very important early Christian figure and theologian who has been unfairly treated over the centuries and who deserves to receive his due. I’m largely sympathetic here. Origen got dragged into a complicated tangle of theological and personality conflicts a couple of centuries after his death and was judged as a result of how that played out. De Lubac is absolutely right on the importance of Origen to Christian spirituality and especially Origen being at the heart of most renewals of monastic/ascetic theology. Not to pick on anyone, but a comment here exemplifies the logic that I’m seeing—wondering about Stephen Langton who gets the credit for the modern scheme of chapter divisions that we use in our modern Bibles. Do we select individuals because they are “important” or because we think or hope that they should be “famous” or do we select them because they are holy? (And what is or should be the relationship between the two?) And that—right there—is what I would point to as the difference between a catholic perspective on the kalendar versus a protestant one. I believe that a catholic perspective looks on the names in the kalendar chiefly as examples of lives living out Christian maturity, exemplifying the sacramental path of discipleship. These are our very present fellow members of the Body of Christ who strengthen us with their prayers now and who give us direction and encouragement by their lives and how they participated within the mysteries of Christ. Holiness therefore is the primary consideration and criterion. A protestant perspective identifies the people who church folk should know. The folks we want to be famous (whether they are currently or not). Importance is therefore the primary consideration and criterion. The choice of commemorations in the proposed Calendar of this Study has been made primarily on the basis of selecting men and women of outstanding holiness, heroism, and teaching in the cause of Christ, whose lives and deaths have been a continuing, conscious influence upon the on-going life of the Church in notable and well-recognized ways. There are included martyrs, theologians, statesmen, missionaries, reformers, mystics, and exemplars of prayer and charitable service. In every instance, care has been taken to list persons whose life and work are capable of interpretation in terms morally and spiritually edifying to the Church of our own generation. In the list of primary criteria, holiness receives top billing. Importance is in here—as to some degree it must—but the ranking places holiness over importance. It has often been remarked that the Prayer Book provides the parish priest with an excellent teaching manual for the study of the Bible, the doctrines and ethics of the Church, and, of course, the principles and practices of worship and prayer. It has lacked but one thing, an adequate instrument for teaching the history of the Church. The present proposal should do much to meet this need. With the names on this Calendar arranged in a historical, or topical order, the parish priest or teacher will have a convenient guide and outline of Church History from its beginnings to the present time. Such a study should greatly reinforce the other teachings of the Prayer Book, as they are exemplified in the lives of the saints. 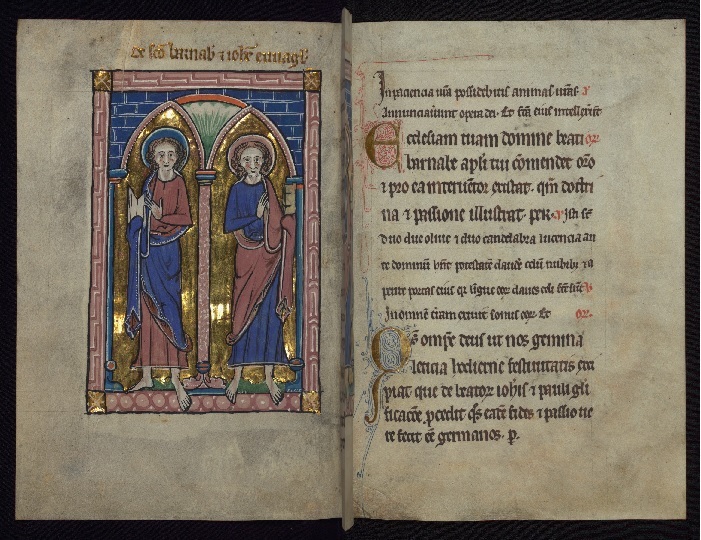 The Prayer Book contains liturgies and provides directions for the worship of the Church. It provides texts for the Church’s daily praise of God and for the celebration of the sacraments as the God-given means of grace. However, what it did not contain up until this point is how this pattern of worship creates and molds lives that are lived primarily outside of churches. The Calendar that we present here teaches Church doctrine and sacramental theology by the ways that these people lived out their lives in the world, conforming their hearts, minds, spirits, and bodies to the call to die daily to self, to daily take up the cross, and follow Christ. Now that would be Calendar as mystagogy rather than Calendar for catechesis. But that’s not what we got, and that’s not how we see it now. This entry was posted in Anglican, Saints on August 30, 2016 by Derek A. Olsen. 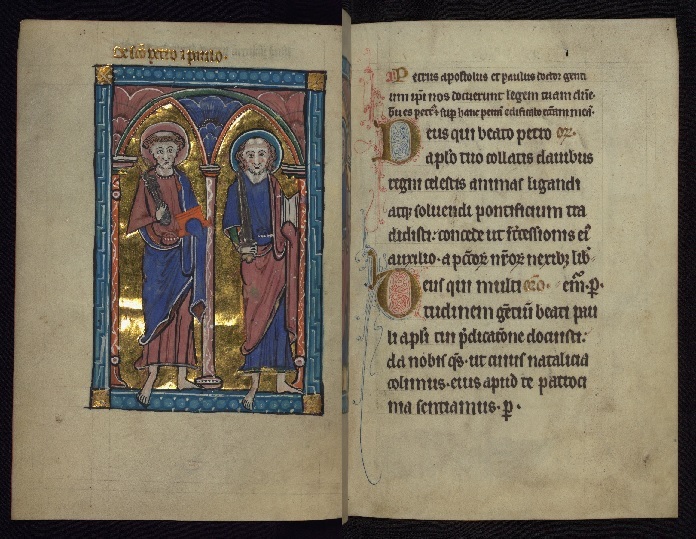 One of the treasures that I scavenged was The Lives of the Saints by Omer Englebert, a work that fed into my growing interest in the medieval Church and pre-Lutheran Christianity that would eventually take me down the Canterbury Trail. Organized by day, this book introduced me to a whole host of figures I had never heard of who lived in ways that were utterly unfamiliar to a 20th century suburban protestant. Looking back at this book from where I stand now, most of the saints in the book fall within a fairly defined set of strata. There is an Early Martyr strata. These were the martyrs of the 1st through the 4th centuries who were persecuted, tortured, and executed by the state—usually the Roman state. There are literally several of these provided for every day of the year. Then there is an Ascetic strata. There’s a band of folks who fell from around the 5th century to the 11th century who were mostly monks, hermits, or founders of monastic orders. You get some ascetic bishops sprinkled in there too. You usually see at least one of these a day. Then there’s the Teachers strata. From the 12th through the 15th centuries there are theologians and mystics of various sorts. They tend to pop up a few every week. Last, and most sparsely, you have the Counter-Reformers. These are folks from the 16th and 17th centuries who were Jesuits or something similar who fought the spread of the Reformation in various ways. You get one or two of these a week. I gained a sense of the scope of the Church Catholic from this book, and I think it’s one that still shapes me today. First, what I learned from this book is that you can’t talk about the history of the Church or its past without stumbling over the bones of martyrs. Before anything else is said and done, there are multiple martyrs every day of the year: that’s a basic reality of who the church is (as sketched by this book…). The perennial drumbeat that underscored every reading for every day is that the faith was worth dying for—and there were the names and dates to prove it. Second, another daily reminder was that faith in the gospel led lots and lots of people to embrace a kind of life that I couldn’t even contemplate. A young suburbanite couldn’t comprehend the life of a hermit; it wasn’t on the radar for me. But the fact that so many people chose it as a means of expressing the gospel in their lives made me sit up and take notice: truly engaging this gospel thing made people make some really hard and uncomfortable decisions. Fidelity to the gospel takes precedence over creature comforts. Martyrs and hermits are not part of contemporary American life. However, encountering them so frequently in this book put them into my mental map and, in doing so, taught me some very important things about the Church and about the demands of the Gospel. I’m not judging—I’m just noticing. One of the central functions of a sanctoral kalendar is the notion of social memory. Social memory is the phenomenon by which a group’s present social identity is shaped by the way that it chooses to remember the past. It’s like Collective memory as described here, but this entry doesn’t make the clear connection to how this memory is linked to present identity formation and identity politics. My thinking around this issue was sparked by Martyrdom and Memory: Early Christian Culture Making by Elizabeth Castelli (who argues that the Early Church talked more about martyrdom than practiced it). One of the criticisms that I heard of Holy Women, Holy Men when we were rethinking it and working towards A Great Cloud of Witnesses was that it was engaging in identity politics. I do think that’s true. I also think that it’s completely unavoidable. All kalendars are engaged in identity politics. That’s what social memory is about: leveraging the past to talk abut our present identity. There is no way to disentangle identity politics from a kalendar. Some kalendars are more aware of it than others, perhaps. Some are more overt about it than others. Creating, maintaining, and using a sanctoral kalendar is a formal act of social memory. Putting together a list of people from the past says something about us now, about who we look up to, about what kinds of qualities, characteristics, and charisms we think are important. My old Lives of the Saints does that in one way; I think that A Great Cloud of Witnesses does it in a rather different way. Or, rather, they hit us in different directions. They approach the goal from different paths. Lives of the Saints takes a “volume” approach. That is, I learned about the shape of sanctity and gospel fidelity by the sheer number of examples of certain kinds of witnesses. A Great Cloud of Witnesses takes a more “individual” approach—look here’s a person we remember. Again, I’m not advocating one way or the other at the moment, I’m noticing. This entry was posted in Anglican, Saints on August 25, 2016 by Derek A. Olsen. Now—in something completely unrelated to prayer book revision plans, I have a new post up at Godspace. This one is a musing around the concept of pilgrimage, and my way into it is a brief meditation on the Voyage of St. Brendan the Navigator. If you’ve not encuntered this text before, I’d urge you to do so. It’s quite fascinating. I have a feeling I will drill into it quite a bit deeper at some point in time. This entry was posted in Church History, Medieval Stuff, Monasticism, Saints, Spirituality on November 12, 2015 by Derek A. Olsen. After seeing a tweet from Ruth Gledhill, I clicked through to this sobering article about Chichester bishop George Bell. Bell was one of the figures added into Holy Women, Holy Men in 2009 and brought from there into A Great Cloud of Witnesses. If you do the math, you’ll note that he was included 51 years after his death. Historically there has been a “waiting period” on including people in our calendar of commemorations; usually the criteria mention 2 generations and/or 50 years. On of the reasons for such a waiting period was to give sufficient time for scandals to air out. HWHM was significant for the number of recent entries who hadn’t fulfilled this waiting period. There is a certain grim irony, then, that Bell technically met the criteria even though not all of the facts were yet out in the plain light of day. I don’t know what we’re going to do about Bell yet. GCW is not an official church document since it was only “made available.” Since it hasn’t been printed yet, I’ve sent a note to the powers that be indicating that we need to think through what ought to be done here. My vote is for removing Bell. But—this raises bigger issues that still need to be addressed. Are there more revelations like this still yet to come from some of our 20th century inclusions? Are there skeletons like this in the closets of some of our earlier choices? One of the central differences between GCW and HWHM was that we explicitly altered GCW to say that it wasn’t a sanctoral calendar and therefore the issue of sanctity was formally off the table. But, as many argued at General Convention, it will likely be viewed as a sanctoral calendar informally. What do we do here to address this issue and to address wider and deeper issues about grace, merit, sanctification, and models of the sacramental life? This entry was posted in Anglican, Saints on October 22, 2015 by Derek A. Olsen. When M was competing in the Triathlon Age-Group Nationals in Milwaukee this summer, the girls and I popped into the museum of art there on the shoreline of Lake Michigan. Because they were remodelling most of the collection was inaccessible, but there were a collection of photos from items that are housed there. This one in particular caught my attention. This is “Saint Francis in his Tomb” by the Spanish painter Francisco de Zurbarán, sometimes referred to as the Spanish Caravaggio (no surprise that I like him, then!). Most of his work is on religious subjects; he has several paintings of Francis, one in the St. Louis Museum of Art very similar to this one, but I like this one best. Francis’s face is almost wholly in shadow, his attention squarely fixed on the skull he holds, and the stance of the right foot (no…left foot; thanks, Fr. J-J!) depicts him advancing directly toward us. The power of the work, for me, rests in the tension between the depth of contemplation and the solemn inevitability. It welcomes us to a side of Francis which feels deeply true but rarely acknowledged. This entry was posted in Saints, Spirituality on October 5, 2015 by Derek A. Olsen. I’ve been occupied with quite a number of things over the last several weeks, but I’m on my way back to regular blogging. For those of you who read The Anglican Digest, the Autumn issue opens with a piece from me. Naturally, I’d urge you to read it! (I don’t see it up yet at their main site, but you can see the Autumn issue on their Scribd feed. )My piece may be familiar to long-time readers, it’s an edit of something I originally published several years ago at the Cafe, and I still regard it as one of my favorite essays. While you’re there, definitely check out the rest of the issue as well. There’s a very interesting line-up of people with content ranging from the devotional to the pastoral to the theological; this issue has a particular focus on the Communion of the Saints. 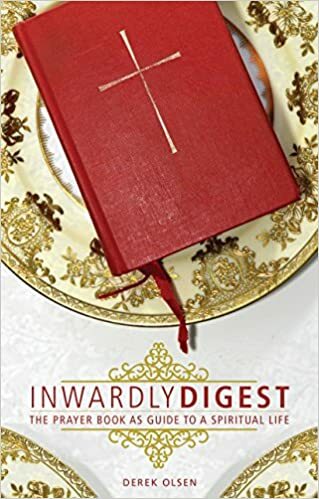 I used to be a faithful reader of TAD but dropped off a while ago; it’s under new editorial management now by two solid folks who should be well known to Episcopal blog readers, Fr. Anthony Clavier and Catherine Salmon (verger extraordinaire and daughter of Retired Bishop Salmon). They’ve been at the helm for about a year now, and are breathing new life back into it. This entry was posted in Anglican, Saints on September 25, 2015 by Derek A. Olsen.